The term subluxation means minor misalignment. However the affects on the human body as a result of a subluxation on the upper cervical spine can be far from minor. In the simplest of terms, a subluxation is when one or more vertebrae (bones in your spine) move out of line and create pressure on spinal nerves. 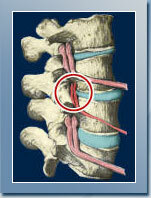 Spinal nerves are the nerves that come out from the vertebrae in your spine. Pressure on the nerves can cause interference with the signals traveling through them - leading to numerous health related problem. Spinal Kinesiopathology is where the bones of the spine become stuck, don't move enough, or move too much. Neuropathophysiology is where nerves can become overexcited and hyperactive. Due to the way the spine is engineered, abnormal spinal function can irritate, pinch, rub or choke the delicate tissue of the spinal cord and nerve roots. Myopathology is when over-developed muscles on one side of the spine cause individual vertebrae to rotate and lose proper function. When muscle function declines muscles that support the spine respond in different ways, the spine can weaken or even atrophy. Histiopathology is inflammation and swelling due to injured disc accompany the accumulation of blood and lymph - causing a rise in temperature. Pathophysiology is when there is a trauma to a joint, one of the ways your body responds is the stabilization of the area by forming new bone! With time, calcium deposits build up, eventually as abnormal bony growth. This arthritic 'splinting' of bones is nature's attempt to stabilize the injured joint. In this explanation we have both a simple explanation and a more detailed breakdown of subluxations. It would take several lifetimes to understand the extent to which subluxations can affect the human condition, but we offer the following page as a start. 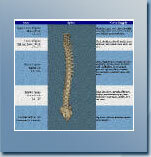 As subluxation progress with time they have a continuing and worsening affect of the spinal structures. 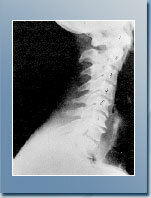 This process can be followed and is categorized by the amount of degeneration seen on spinal x-rays. The nervous system controls and coordinates all functions and tissues in the body. Therefore, interference with the nervous system will have a broad effect on function of the body. Click on the image to the left to get a brief overview of the various effects subluxations can have on the different areas of the body.